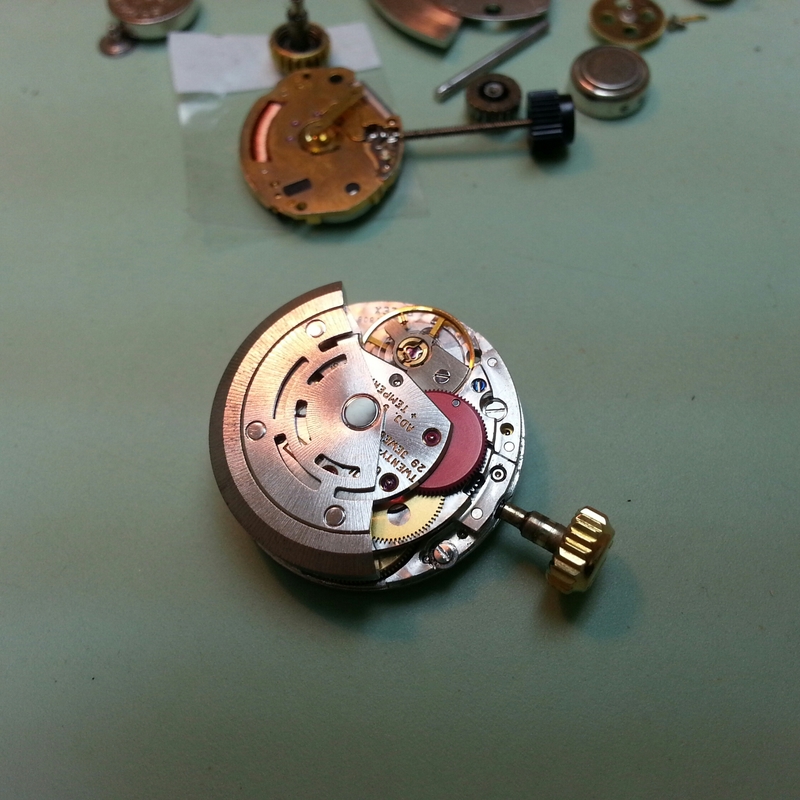 We service and overhaul almost all Rolex watches on site. 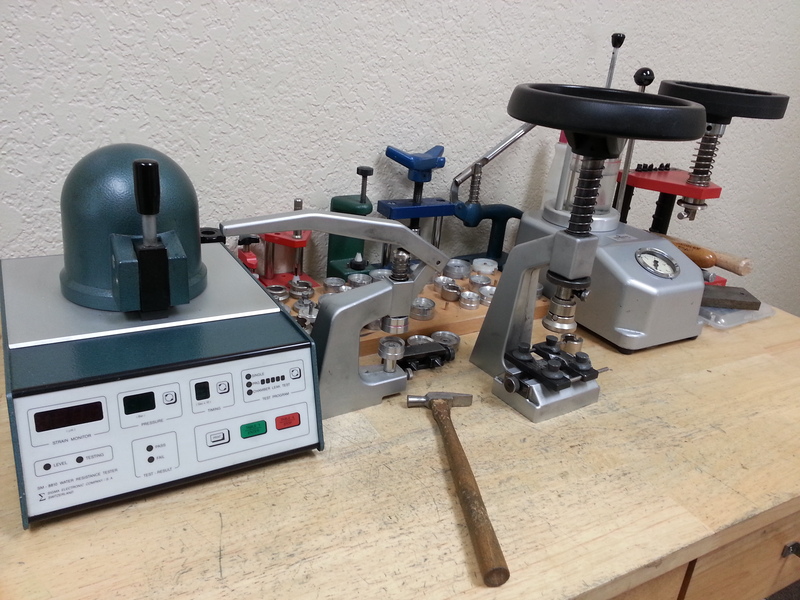 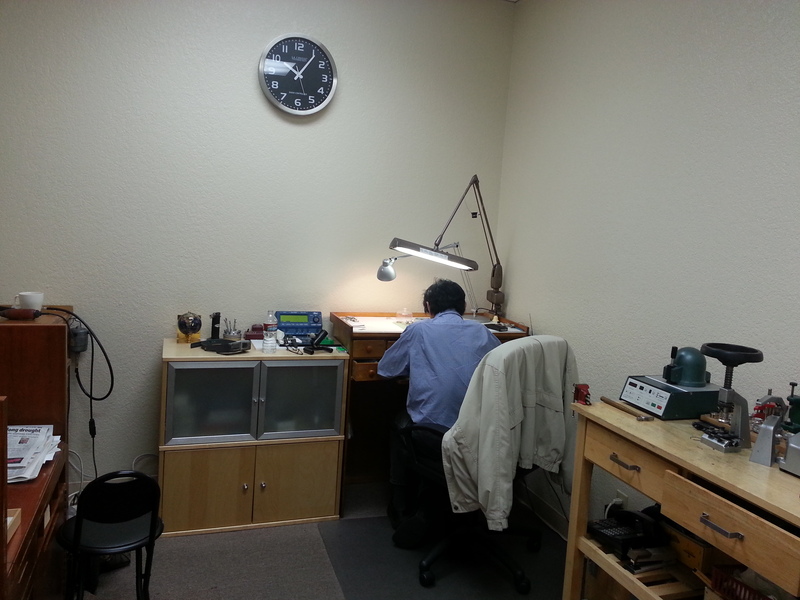 We also can service most other fine Swiss and German made watches. 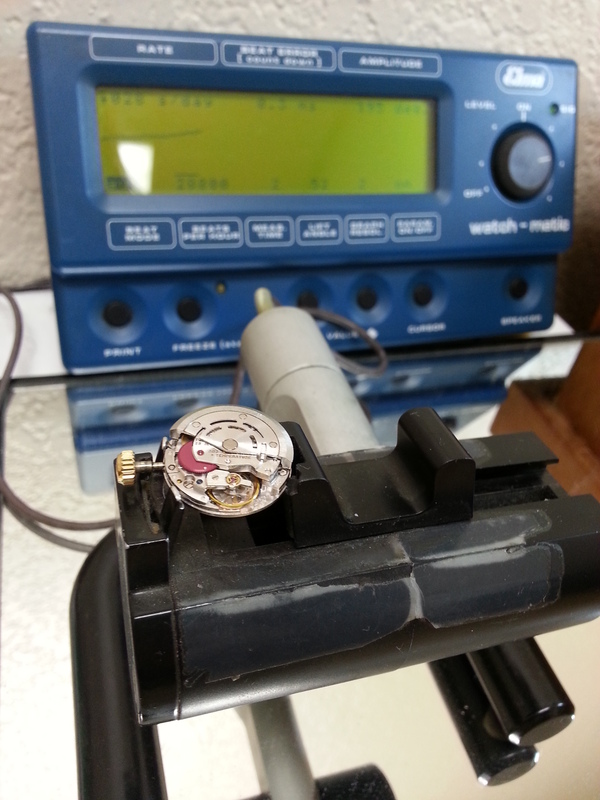 From a simple battery replacement, to the complete servicing of a complicated mechanical watch, we can do the work in a timely fashion with a service warranty. 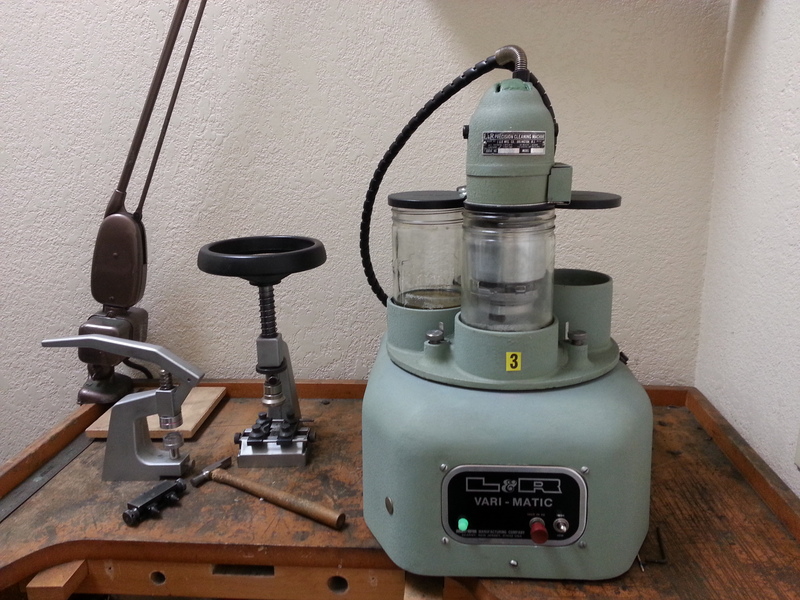 We have been servicing fine watches for over 20 years. 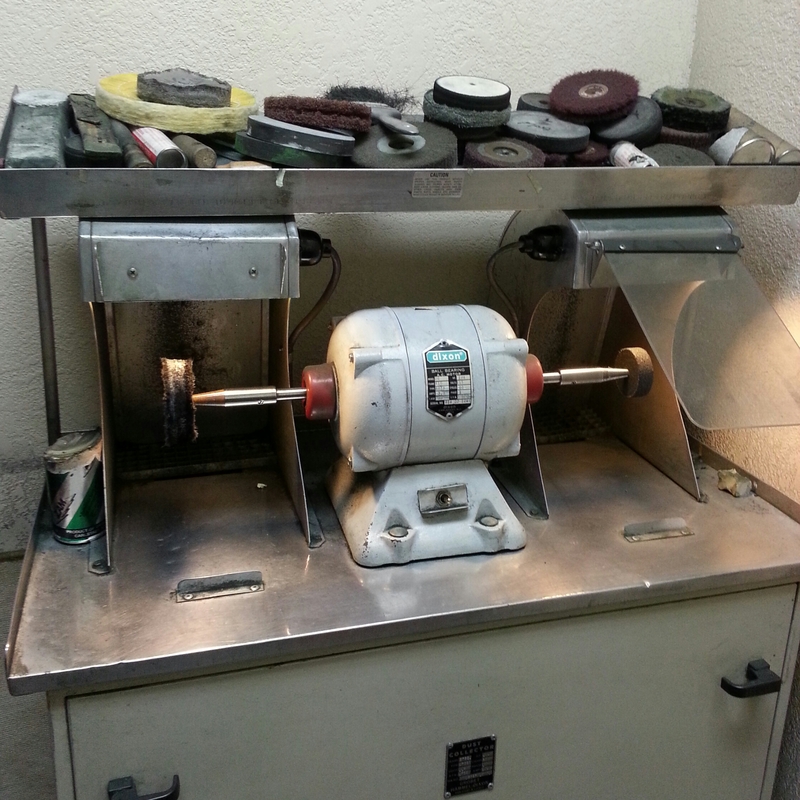 We also restore and service our own stock Rolexes and other fine makes as well before they go into our showroom cases. 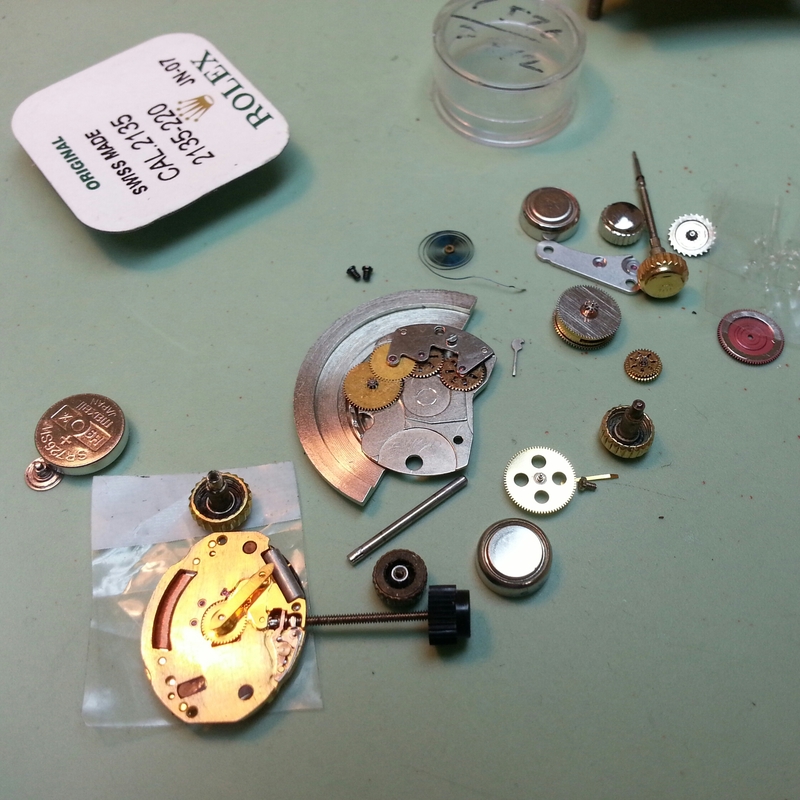 Most all our stock watches come with an in store warranty for authenticity , time keeping and water resistance. 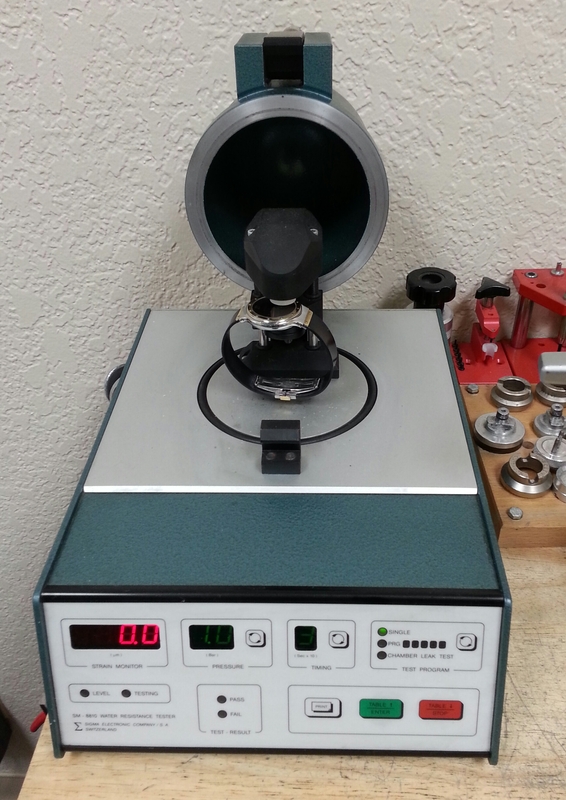 Our cleaning machine cleans all of the little parts of the watch movement to get ready to be freshly lubricated and carefully put back together in order for the watch to run smoothly again. 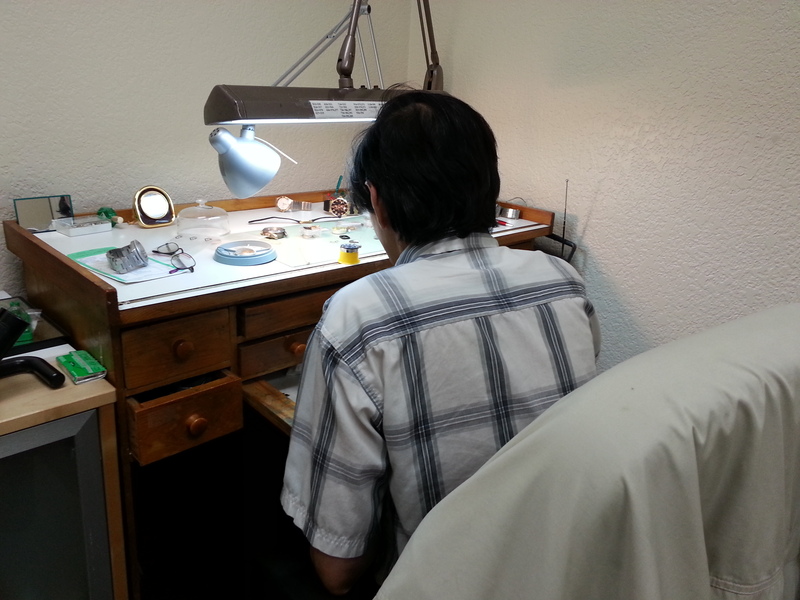 Our watchmaker, Mike, has been with Jackson Square for over 17 years working on hundreds of fine Swiss watches. 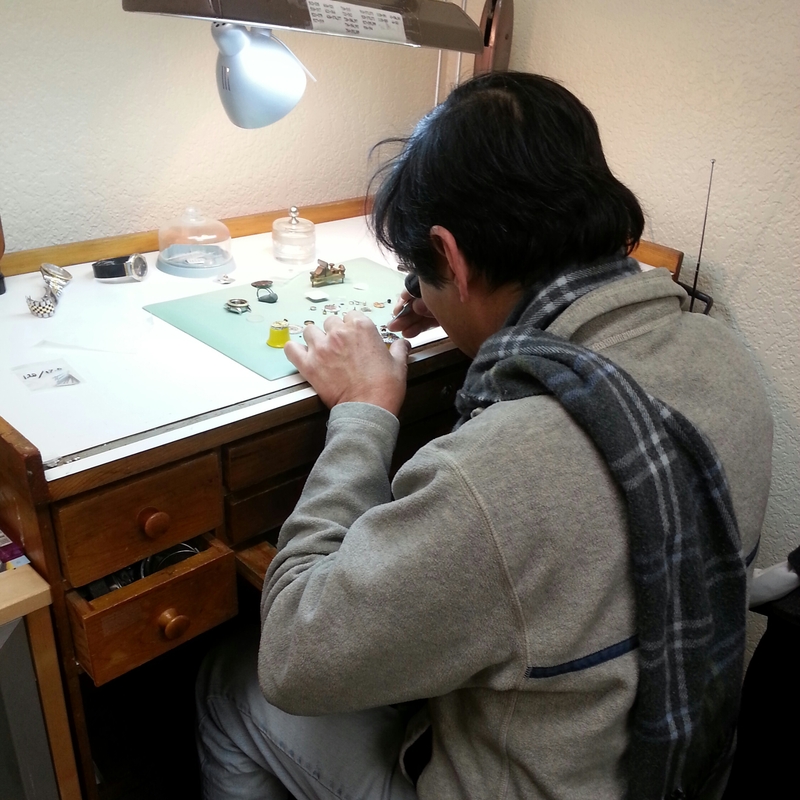 He has mastered the art of watchmaking through his attention to detail in making sure every little part is cleaned properly and placed back in the watch. 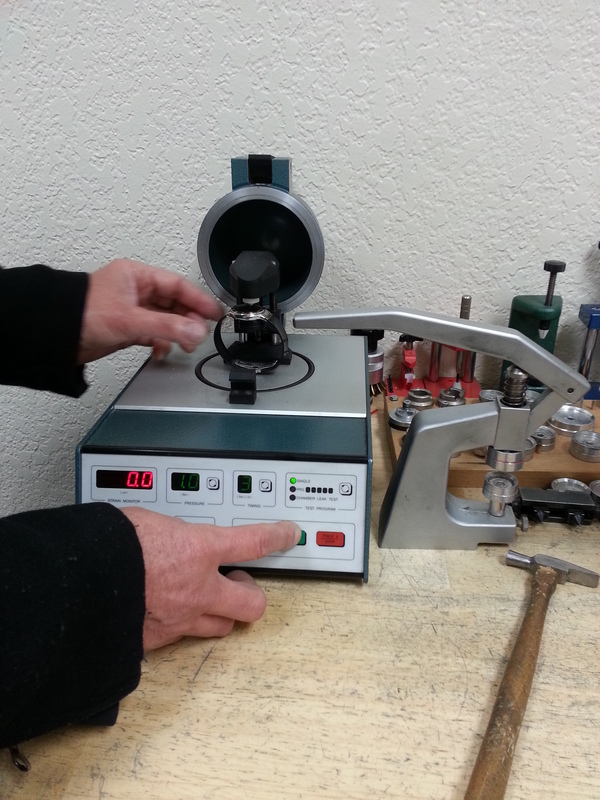 If you have had your Rolex serviced by us in the past, more than likely it was Mike who worked on it! 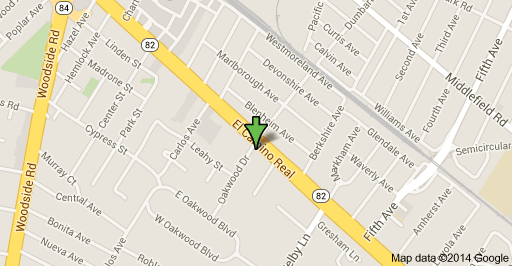 For questions please call us at (650) 365-3000, or email us here.